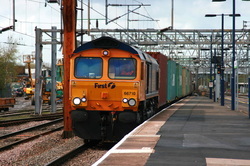 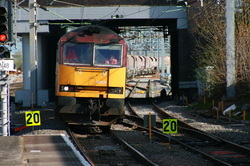 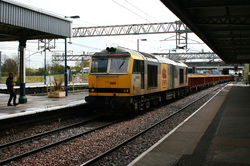 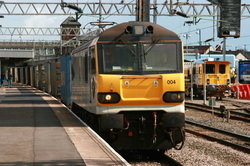 GBRf 66710 heads south through Nuneaton from the Birmingham area with a freightliner working. 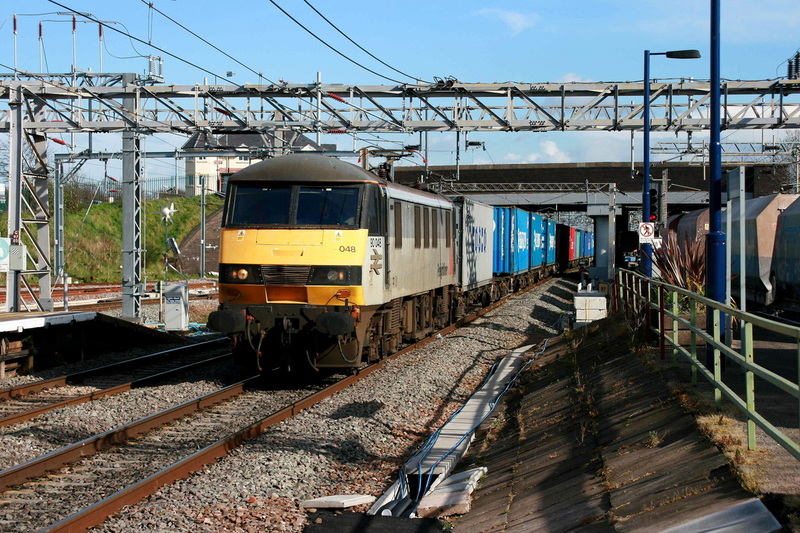 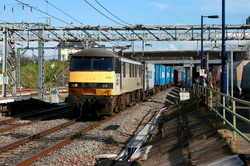 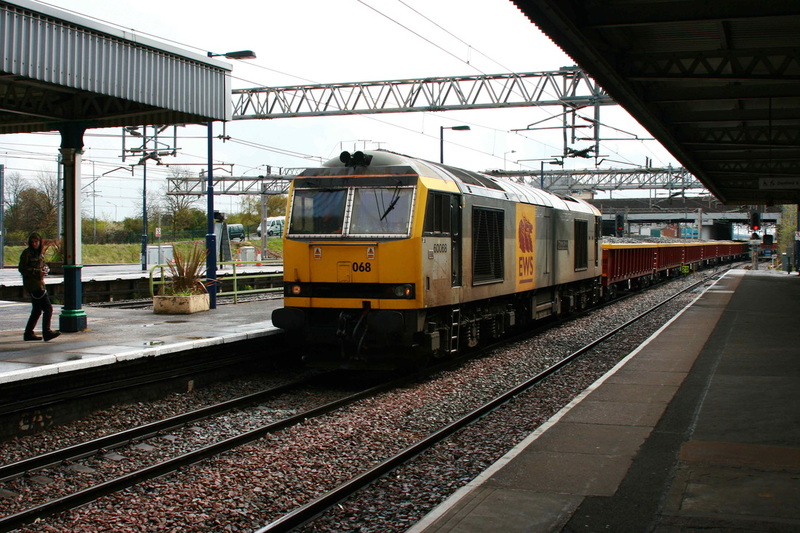 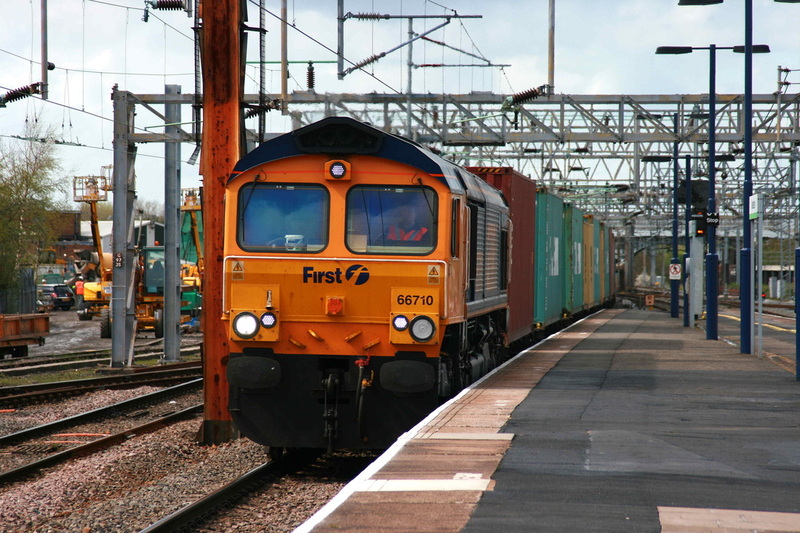 Rarely seen on the mainline at the moment, 92004 heads north with an intermodal working. 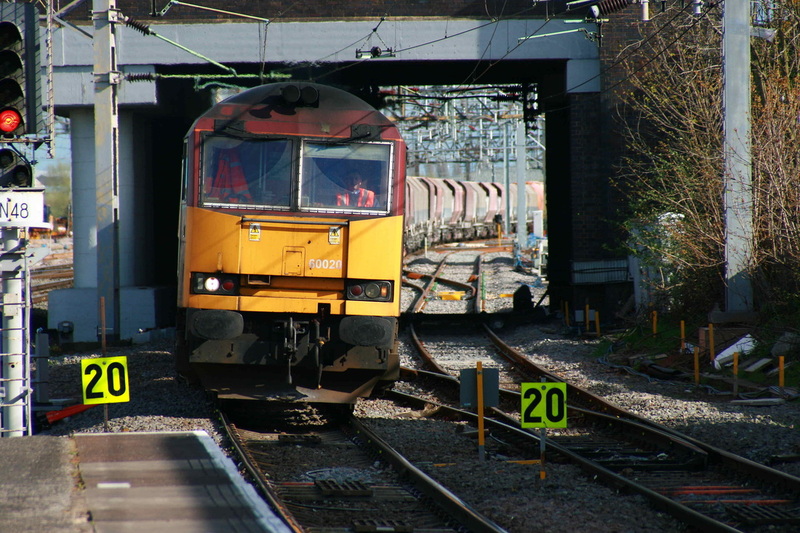 The second Class 60 appeared just before I was due to head north homewards, as 60020 enters the station with an Aggregate working.